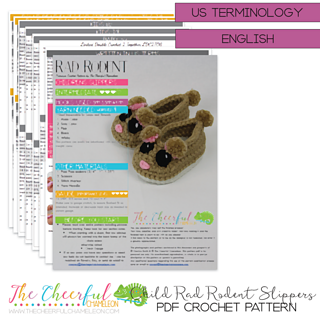 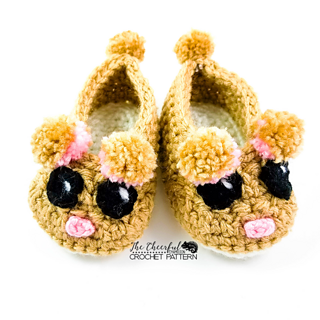 These rascally rodent slippers are a giggle to make.Darling mice and sweet faced hamsters are made with linked stitches and double soles so they are super soft and cozy! 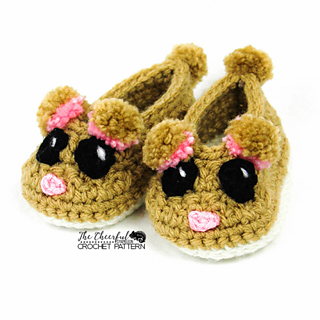 Perky Pom pom ears and tails add adorable little accents to these sweet little critters! 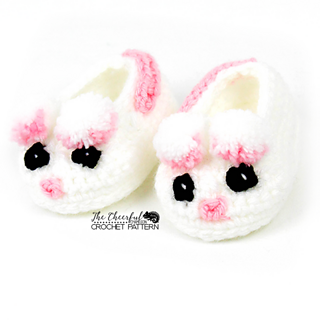 Uses worsted weight (4) yarn and a 5.5mm, 5mm, & 3.5 mm hook. 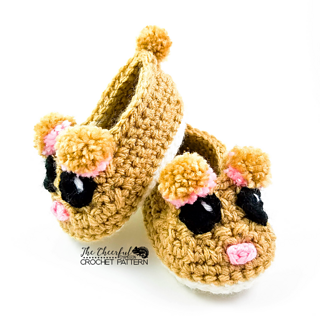 Previous pom pom making knowledge or pom pom makers.